Have we mentioned that Colorectal Cancer is the second leading cause of cancer deaths in the U.S. yet? Colon Cancer Awareness month is almost over so we think we should mention it again: Colon Cancer is the second leading cause of cancer deaths in the U.S. This month we’ve talked about Colon Cancer Awareness and colorectal cancer screening and now we want to talk about prevention. While you may be at risk for Colon Cancer, there are some things you can do to help prevent it – in fact, most prevention can happen through diet and exercise. Diet and exercise can have huge impacts on your health in general so it should be no surprise that changing your daily habits in these two areas can actually help you prevent colon cancer. Your sedentary lifestyle is not healthy. We were not meant to sit all day long – it’s bad for digestion, bad for your health and bad for your waistline! Fitting any amount of activity into your day – on a daily basis – is a vast improvement. That can be walking, jogging, riding a bike, hitting the gym, etc. The more exercise the better. In fact, the American Cancer Society suggests at least 30 minutes of moderate to vigorous activity 5 days a week. 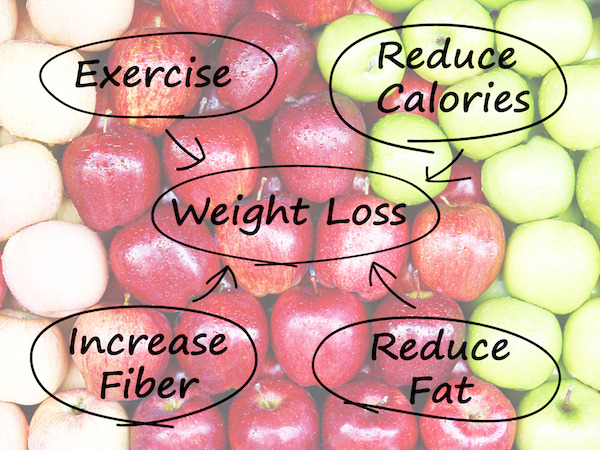 Many people do not realize how much their diet impacts overall health. The things you put into your body help to sustain it. The food you eat keeps you alive and provides the nutrients and vitamins your organs need to function. Putting poisons or things you can’t digest into your body can have serious risks involved – one of them being cancer. Specifically, you should avoid eating processed foods, foods with preservatives, sugars, foods high in salt, and red meat. Instead, load up of vegetables (the non starchy kind), fiber, fruits and fish. Watching your weight means regulating your diet, and exercising. Studies show that being overweight and obese increases your risk of colorectal cancer. Smoking has a huge impact on your digestive system (among other things). Smoking increases your risk of heartburn, GERD, ulcers, Crohn’s Disease, colon polyps, pancreatitis, the list goes on and on! If you are a smoker, there are many smoking cessation classes you can attend to help you quit. Overindulging when it comes to alcohol can increase your risk factors for many different types of cancers but it is especially true for colon cancer. Alcohol in moderation is ok, but don’t overdo it. Screening is the only way to detect polyps and remove them before they can turn into cancerous polyps. This is why screening is so important. If you are over the age of 50, now is the time to schedule a colorectal cancer screening.